Aston Martin Racing is launching a young driver program to be known as the Evolution Academy. The aim is to offer an Aston Martin Racing works driver contract for 2016 to the most successful participant of the season. The academy is open to applications from drivers aged 17-25 competing in an Aston Martin racing car this season, from which a maximum of 10 will be selected. It has been devised by the Banbury, UK-based team to help support and develop young talent, as well as creating a breeding ground for Aston Martin Racing works drivers of the future. Team Principal John Gaw commented: “We’ve been very supportive of young drivers at Aston Martin Racing for several years now. We had seven young drivers in our team at Spa 24 Hours last year and have signed two young drivers to our works team for the past two years. Successful applicants, limited to a maximum of ten, will be assigned a professional mentor from Aston Martin Racing’s team of top GT drivers. In addition, they will be given fitness and nutrition assessments and advice; PR, marketing and sponsorship support; training sessions in an Aston Martin Base Performance Simulator; and Evolution Academy-branded apparel including a race suit and team kit. At the end of the season, the most successful participant will be offered an Aston Martin Racing works driver contract for 2016. Applicants will be asked to send in a CV for review by a panel of senior team management including Team Principal John Gaw, who commented: “We’ve been very supportive of young drivers at Aston Martin Racing for several years now. We had seven young drivers in our team at Spa 24 Hours last year and have signed two young drivers to our works team for the past two years. 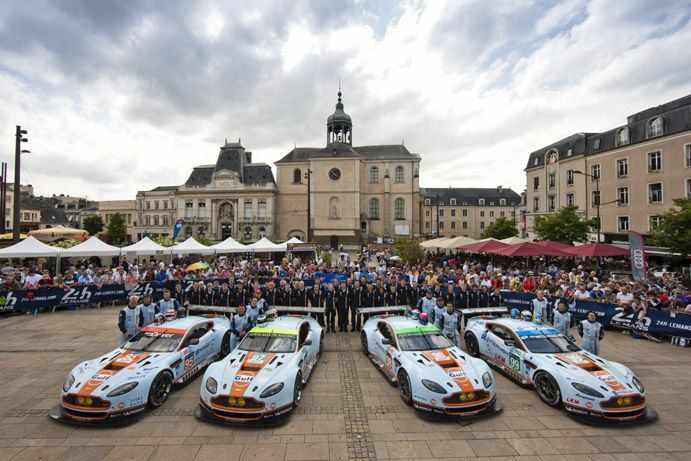 Aston Martin Racing competes at the highest level of GT racing, including a works team in the FIA World Endurance Championship, the 24 Hours of Le Mans and Nürburgring 24 Hours; and works-supported entries in Blancpain GT Series and other major GT races. With its full range of GT racing cars ranging from the V8 Vantage GT4 – its entry-level race car aimed at those starting out in a GT career – through to the V12 Vantage GT3 and the V8 Vantage GTE, there is a clear progression path for drivers of any age looking to begin or develop their racing career.